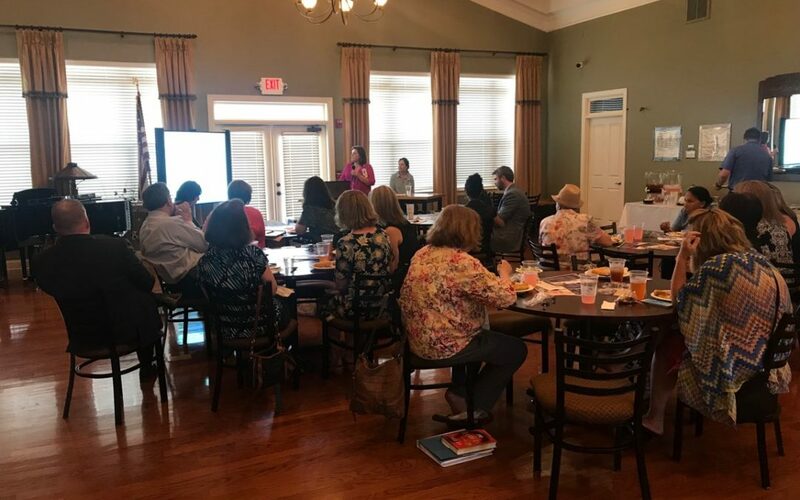 OOLTEWAH, Tenn. — Professional and family caregivers gathered at the Greenbriar Cove Clubhouse in Ooltewah to attend the Caregiver Cafe Speaker Series “Compassion Fatigue: Dementia and Depression” presented by the Morning Pointe Foundation and Parkridge Health System. The free public awareness event was hosted in partnership with the Morning Pointe of Collegedale at Greenbriar Cove assisted living and Alzheimer’s memory care campus. Experts from Parkridge Valley Dr. J. Eric Carter, primary care physician, and Tracy Rollinger, LCSW, manager of social services, led the discussion which explored depression, dementia, and healthy solutions to cope.